Singer Johnny Hallyday, known as the "French Elvis" has died aged 74 after a battle with lung cancer. His wife Laeticia Hallyday wrote that "Johnny Hallyday has left us. I write these words without believing them. But yet, it's true. My man is no longer with us." "He left us tonight as he lived his whole life, with courage and dignity,"
"For more than 50 years, he was a vibrant icon," President Emmanuel Macron's office said in a statement, who "brought a part of America into our national pantheon." "There is something of Johnny in all of us." Among those to pay tribute was American guitarist Lenny Kravitz. 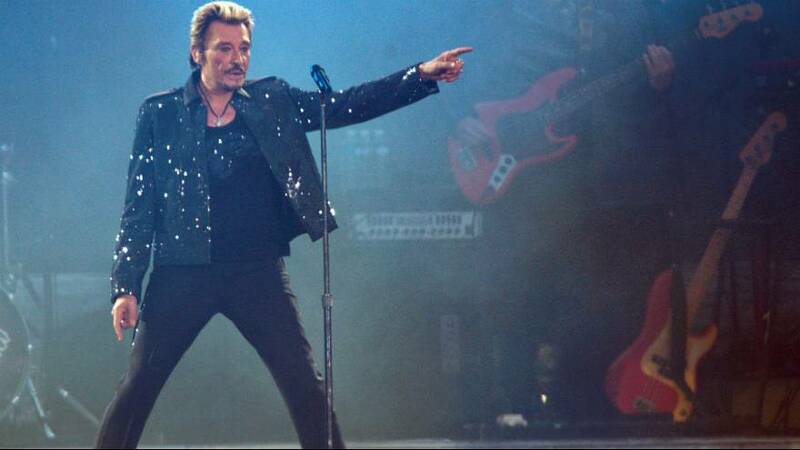 Hallyday's glitzy stage aura was clearly influenced by Elvis Presley, and his musical inspiration came from the likes of Chuck Berry and Buddy Holly. Hallyday went from a quiff-haired young heart-throb who introduced US-style rock and roll to France in the 1960s to the ageing bad-boy “Patriarch of French pop”, a national monument, akin to music royalty, plastered over the cover of celebrity magazines. Celine Dion was among stars sharing condolences at the news. Yet, despite selling over 110 million albums with his gravelly voice and cowboy swagger winning him an army of followers in France, he was little-known outside the French-speaking world. Known simply as "Johnny" to his fans, he was once dubbed "the biggest star you've never heard of" by USA Today. Hallyday, who issued his first recording in 1959, had been preparing a new album and stage tour when news of his treatment for respiratory difficulties in a Paris hospital was announced last month.